Sizes available: 6/6 lb., 18 lb. and 35 lb. Professional Adult Low-Fat Formula is formulated for less active dogs. This low-fat food is a delightful combination of taste, nutrition and the right amount of energy. Enhanced with antioxidants, it can support the overall health of your canine friend. The dried plain beet pulp with dried chicory root promote healthy digestion while the Omega fatty acid balance can promote healthy skin and a shiny coat. Professional Senior Dog Chicken and Barley Formula Dry Dog Food is a complete Health System that provides your adult dog with optimal nutrition for optimal health. This formula is enhanced with antioxidants to protect your senior dog's overall health. Fresh chicken for great taste. Fatty acids for healthy skin and coat and many other features to help your older dog live a happy, healthy life. Some dogs just seem to be born as natural athletes. 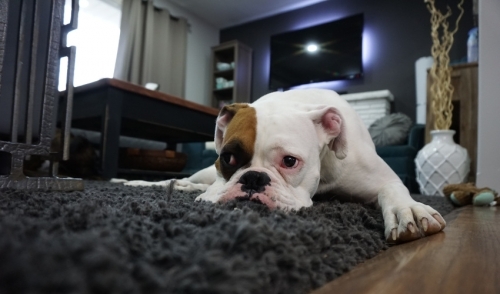 Other dogs work long and hard to develop their endurance and skill. 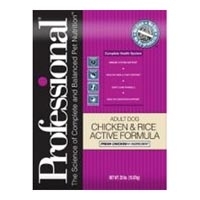 Diamond Naturals Extreme Athlete Chicken & Rice Formula is specifically formulated with optimal levels of protein and fat to fuel your hard-working dog. 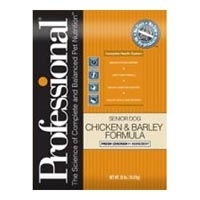 Professional Adult Dog Food provides complete nutrition for your dog. This rich food contains meat and grain extracts. Supports immune system with antioxidants. Glucosamine and chondroitin strengthen joints. Easy digestion with dried plain beet pulp and dried chicory root. Contains omega fatty acids for healthy skin. Professional's Complete Health System provides your large or giant breed puppy with optimal nutrition for optimal health.